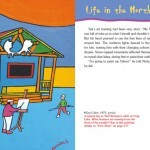 A Brush Full of Colour is the story of a boy whose passion for learning would save him from a life in the coalmines. The books by the American writer Jack London and Canadian poet Robert Service fired his imagination with scenes of the wilderness and the Klondike Gold Rush. 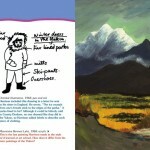 He trained as an artist, and a stint in the British Intelligence Service allowed him to travel. But Ted never stopped dreaming of the North, and when he saw an advertisement for teachers in Northern Alberta, he jumped at the chance to emigrate to Canada, where the biggest adventure of his life would begin. 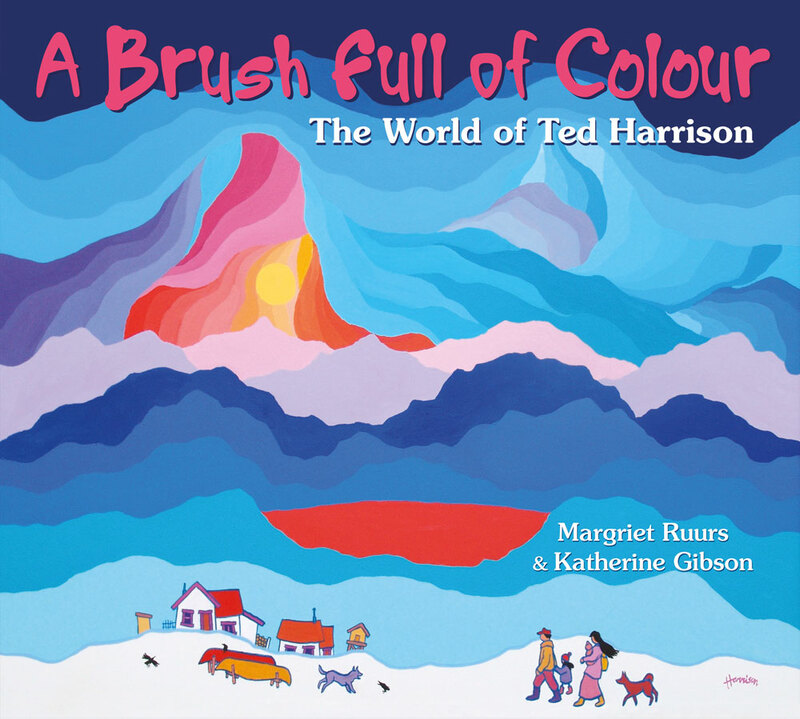 Margriet Ruurs and Katherine Gibson trace the life of Ted Harrison and the influences that would lead to his unique style as an artist. 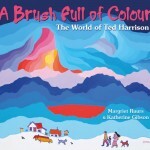 Filled with full-colour examples of his vivid art, and with a foreword written by Ted Harrison, A Brush Full of Colour will provide inspiration for a new generation of budding artists. Click here to view our gallery of Ted Harrison-inspired art created by Margriet Ruurs and the kids and parents at North York Central Library in Toronto.